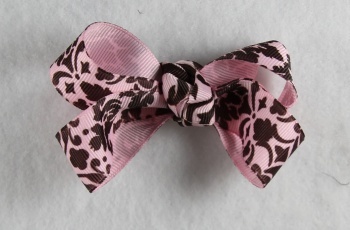 This is a pink grosgrain ribbon that has chocolate brown flower designs on it. This is a great size bow for the little ones, or the side of the face for the older ones, or get two for matching piggy tails. The same ribbon wraps the center into a French knot.